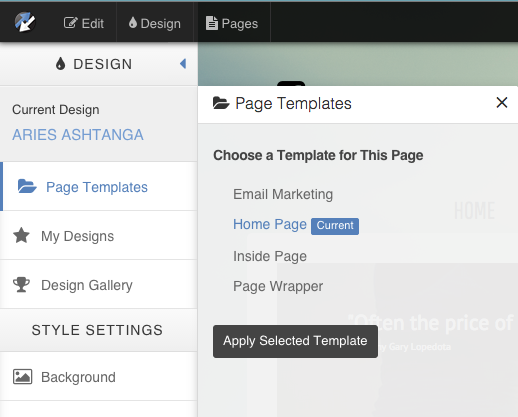 Within Page Templates, you will see the current template applied to the page you are on. To change the template for the current page, select the template that you would like and click 'Apply Selected Template'. Note* Existing content may be altered when changing templates. You do have the option to change the template for an existing page, but it is generally recommended to keep pages as they are and utilize Page Templates when creating new pages for your site.